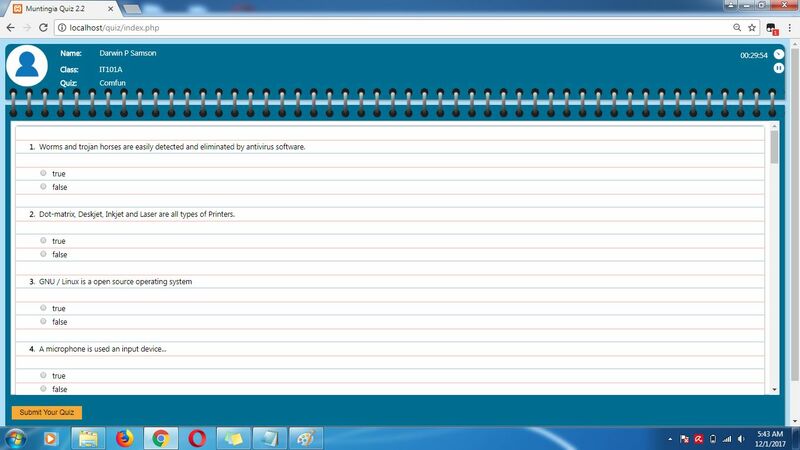 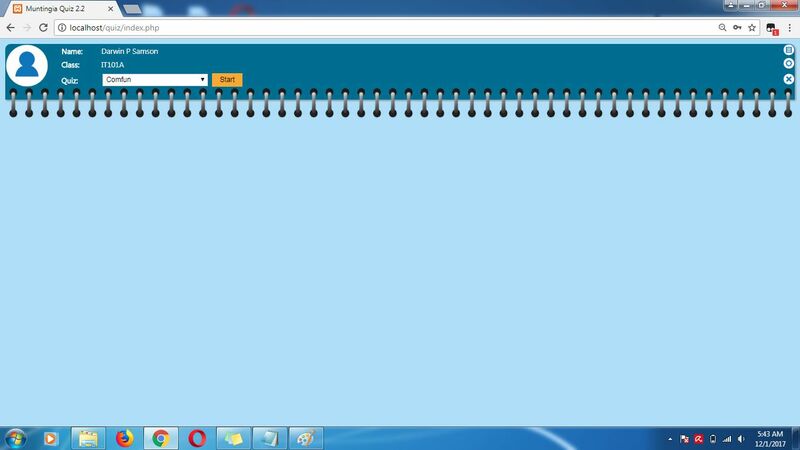 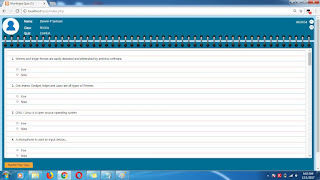 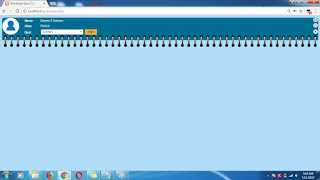 Muntingia Quiz System is used to create online quiz for students. 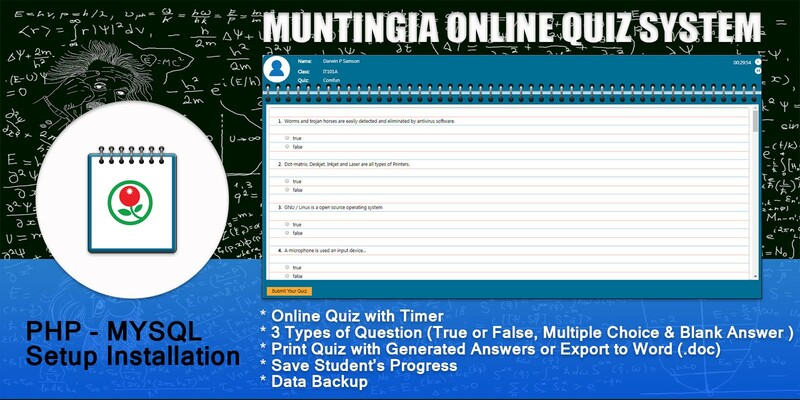 It is designed for teachers who wants to manage quiz easily. 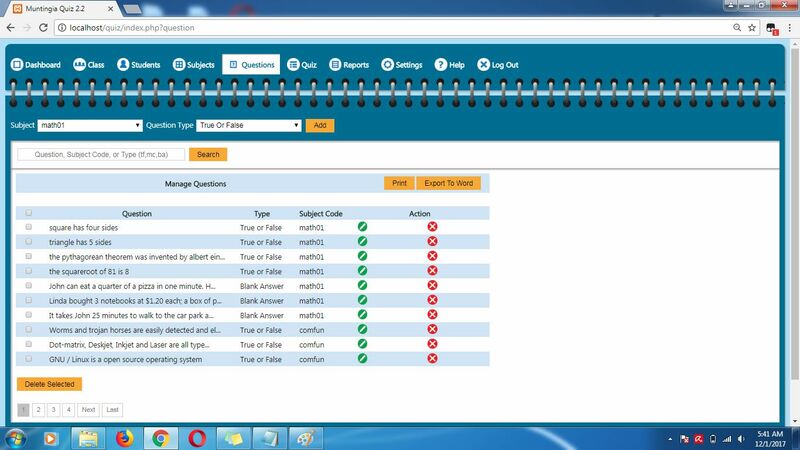 It has a quiz maker where you can print and export questions with answer key. 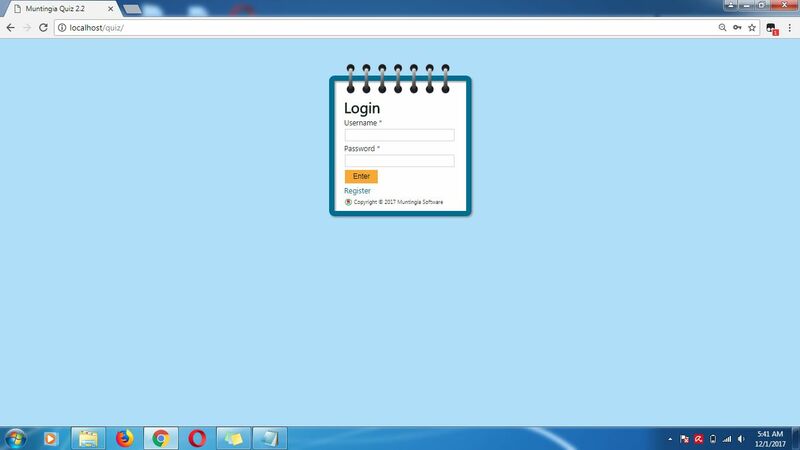 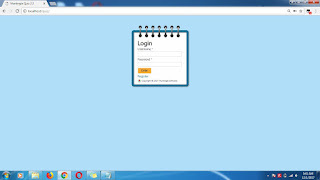 You can set it up to your school server, local area network or live server.